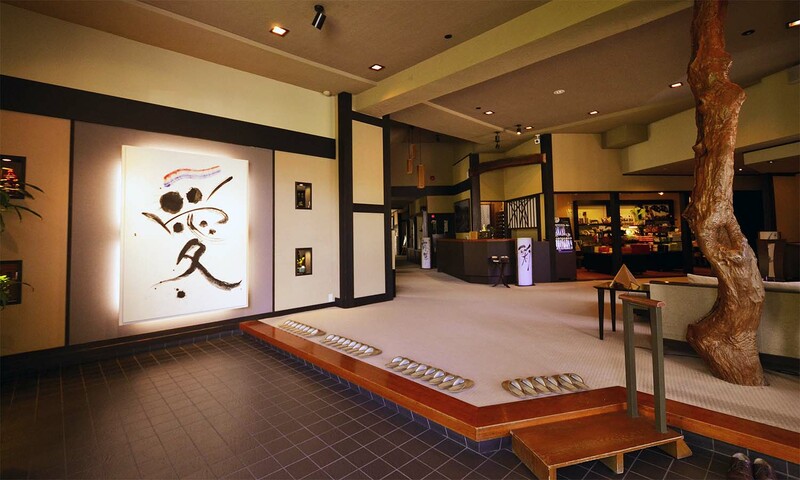 Taking the Samurai Warrior, Naoe Kanetsugu’s helmet as a motif, the Chinese character for Love greets guests as they enter the ryokan. Complimentary morning coffee is served in the lounge after breakfast. 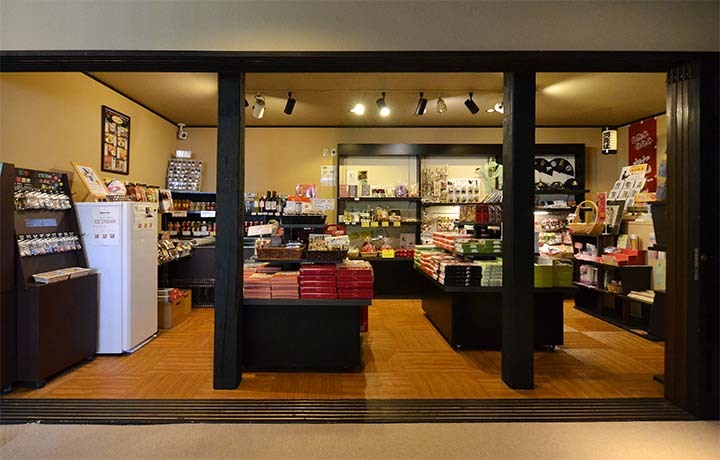 A collection of special products from Yonezawa. 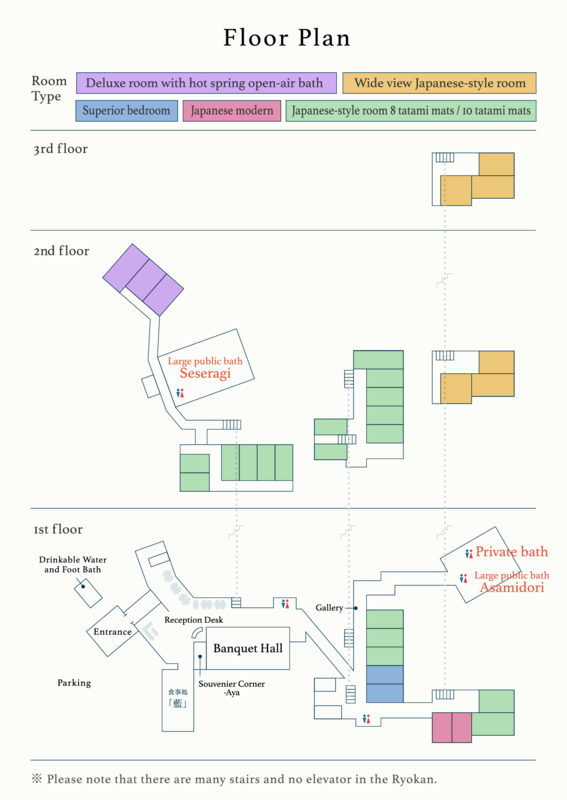 Popular items include, radium eggs, local sake, pickles and sweets. 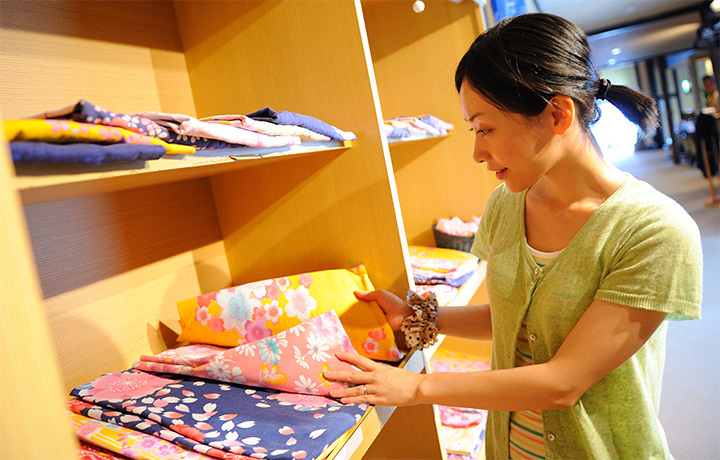 Female guests can choose a Yukata from the colourful selection, to wear during their stay. 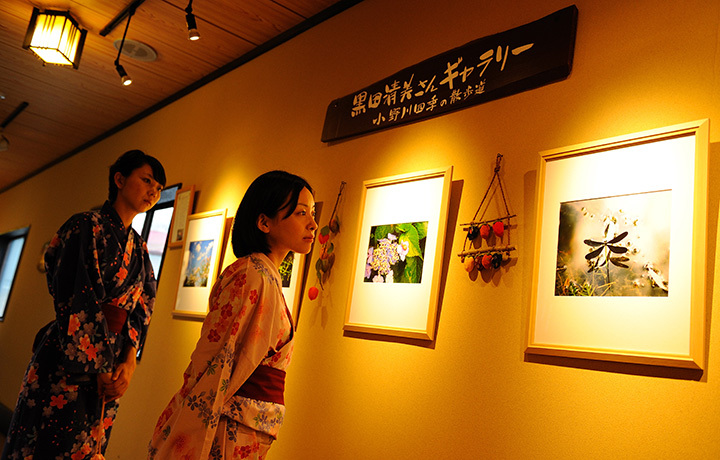 Work of local photographer, Kurokawa Kiyomi, is on display. 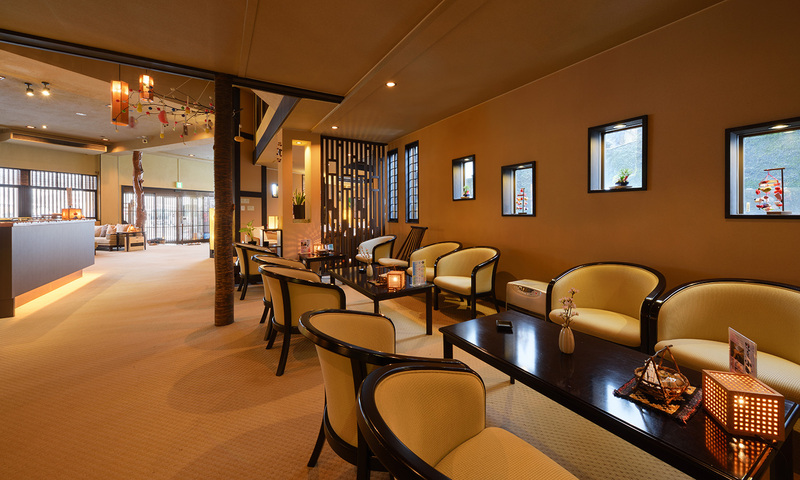 We hope you enjoy the soothing scenes of Yonezawa. 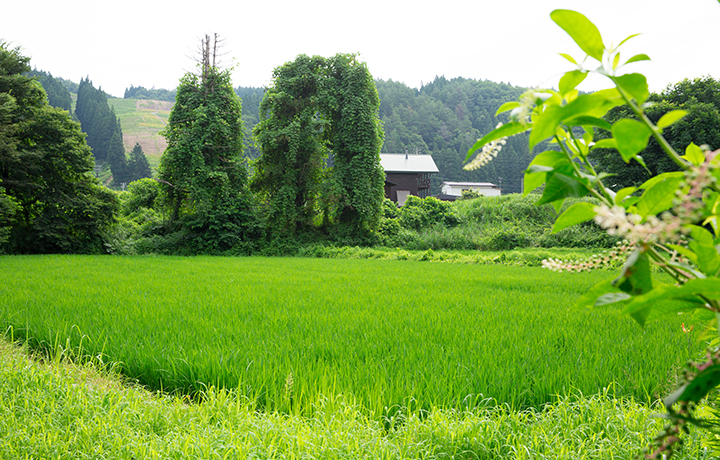 Rice and vegetables are grown in a large field on the south side of the building. Look out at the cherry trees while receiving treatment. Treatment using a Supermist Lotion, combining Onogawa Onsen spring water and minerals is very popular.